"Wildlife Conservation Through Education and Participation"
Nearly 70% of the world’s flowering plants, including more than two thirds of crop species, rely on pollinators for reproduction! That makes this incredibly diverse group of animals important to our ecosystems and economy alike. 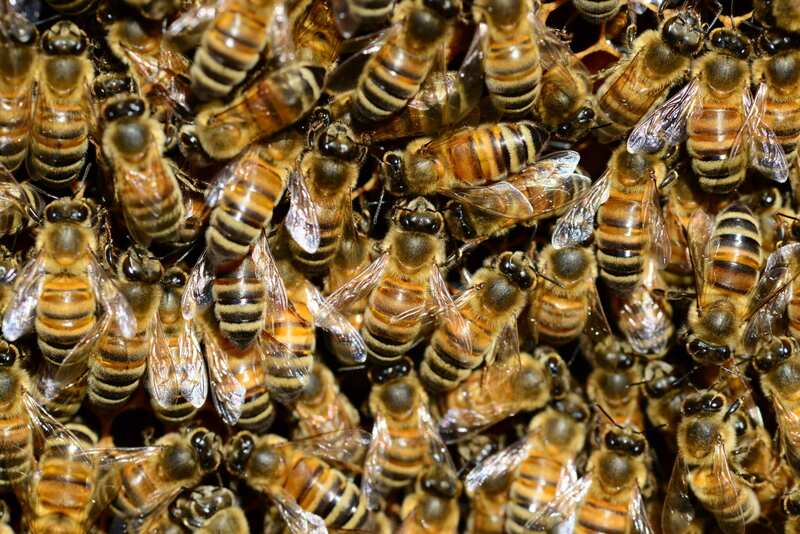 By distributing pollen to other flowers, animals like bees, butterflies, bats and birds fertilize plants, resulting in the production of fruit or seeds. 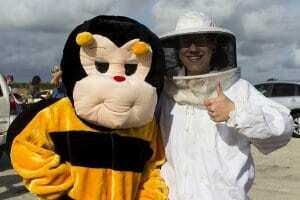 Honey bee populations around the world are in decline, with causes ranging from the use of pesticides to disease. 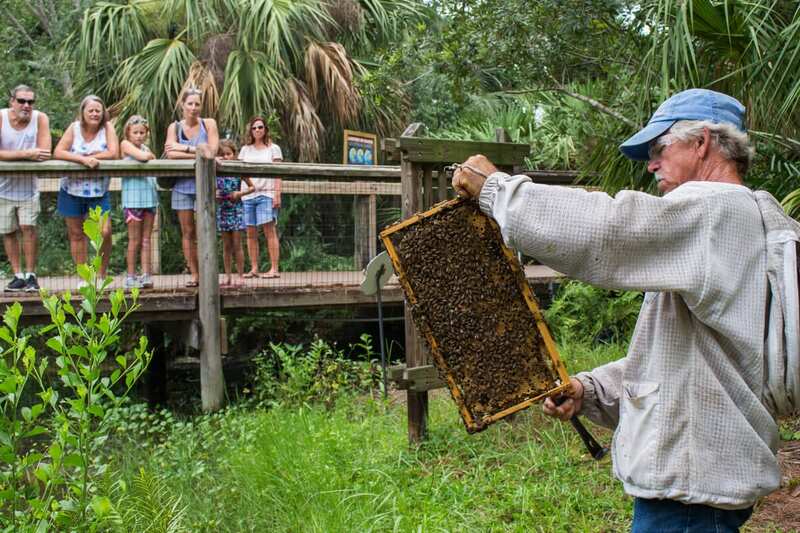 To respond to this crisis, we’ve partnered with Brevard Backyard Beekeepers, Inc. to maintain several beehives on property that help teach visitors about bees and the challenges they face. We’ve also erected several pollinator gardens and “houses” for native Florida bees on our property! Most recently, we’ve been working with volunteers to make “seed bombs” that create wildflower habitat for pollinators. 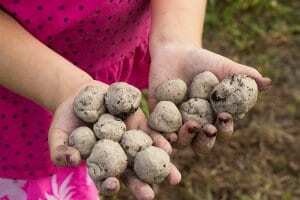 These tightly rolled balls, which are held together by clay and compost, can be dispersed by hand, vehicle and even airplane! The resulting wildflower meadows will sustain populations of economically and ecologically valuable pollinators and provide enjoyment for the whole community. Stay updated with news on current and upcoming conservation programs.